Having a good night’s rest is essential to having a great day ahead. You’d think you’d just doze off after jumping into bed and closing your eyes, but that isn’t always the case. You might be like me. At night, my brain goes on overdrive. Thoughts run around in my head like athletes at a marathon. Did I forget to pick up my laundry today? Do I not have a bunch of stuff I need to do tomorrow? Is my bank account not in the red already? Did my mom not ask me to call her today? And in a blink of an eye, it’s 4:00 AM and I have not slept a wink. I have counted about a billion sheep and changed my position a thousand times. I am a ball of stress, getting anxious about my anxiety. Why can I not just turn my thoughts off? I bet you have asked yourself that question as well. There is no need to worry because there is a silver lining to this cloud. And that lining is covered in froth and cream! There is a delicious and beneficial mix that can help you deal with your anxiety and will get you sleeping peacefully at night. It is CBD moon milk and you will love it as much as I do. The idea of moon milk comes from traditional Ayurveda, a Hindu system of medicine that is rooted in the subcontinent of India. This system believes in an alternative way of healing that makes use of more natural measures. The followers of the system promote drinking warm milk for a more restful sleep as a remedy for sleepless nights. The milk concoction we have prepared in this article will not be involving actual dairy milk though, but it works even better. One main ingredient is CBD hemp oil. There are a lot of products that you can find on the internet that are infused with CBD crystals isolate. CBD or cannabidiol is a cannabinoid derived from cannabis or hemp that can fight insomnia and inflammation. You can put it into a frothy drink that will have you snoozing instead of going over why you didn’t ask that girl out ten years ago. It’s a cannabinoid just like THC, but unlike THC it does not result in feelings of euphoria because it is non-psychoactive. 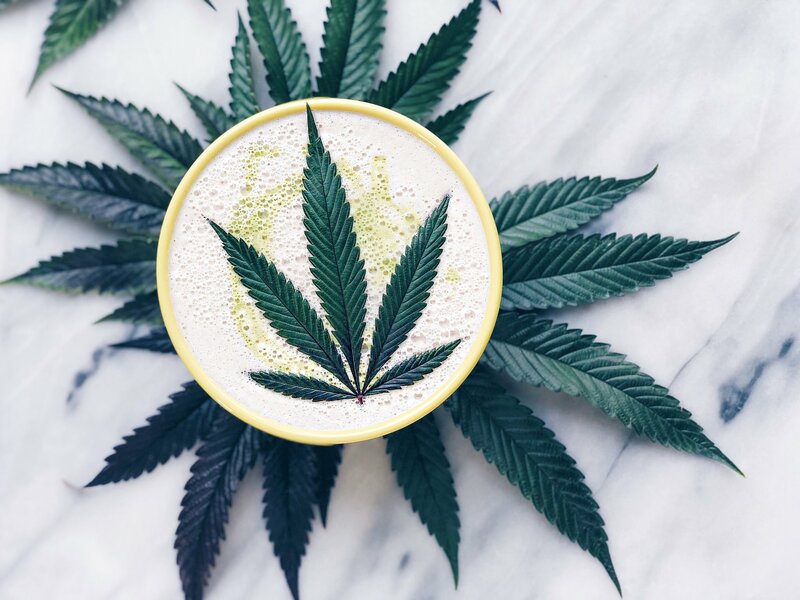 You will definitely not be getting high from just sipping the CBD moon milk. CBD boasts of a variety of medicinal and therapeutic properties like killing pain and reducing anxiety. You can consume it in the form of salves, vapor, sprays, edibles or tinctures. There are even bath bombs that have CBD. That brings a whole new take on having a refreshing bath! CBD disposable vape pen is also a great product to try. With all that information on what CBD and moon milk is, let us proceed on how to actually make it. We have prepared this delicious mixture featuring 9 ingredients. This is good for just one serving. You can adjust the measurements if you’re having a pajama party and are serving more than one. Boil your water in a sauce pan over high heat. When it’s done boiling, you can pour it in a blender. Get the rest of the ingredients. Put it in the blender with the hot water. Set the blender to high, then blend the ingredients together. Do this for 1 to 2 minutes. Check if everything is frothy and combined well. Let it cool a little until you can sip it comfortably. Serve! Tada! You now have your delicious and relaxing CBD moon milk. It’s like a latte drink that can help you sleep with CBD instead of keeping you up with caffeine. If you want something to cure your morning woes, we also have recipes for CBD coffee as an alternative. On the other hand, which is the best CBD Oil? Do you have any great recipes you want to share? Any comments, recommendations or suggestions? Feel free to comment down below!